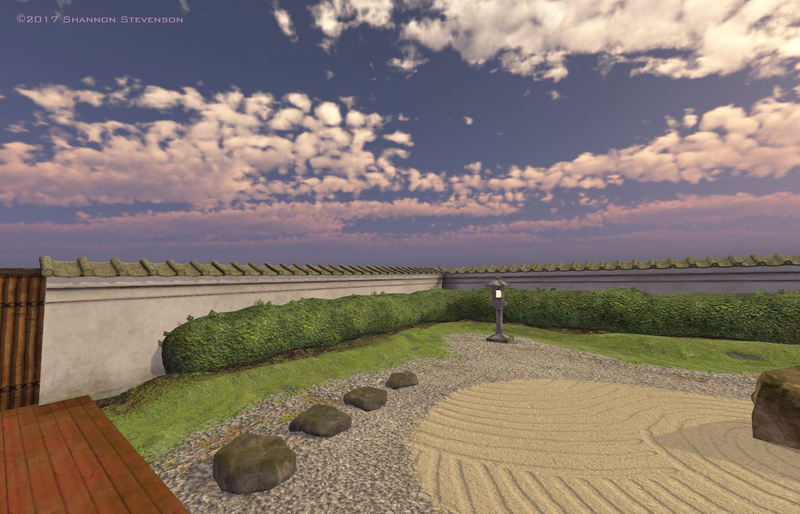 I love the Japanese Tea Garden in Golden Gate Park, San Francisco and was inspired to make my own tea house & garden in VR. This is a simplified design, not a replica of one in San Francisco. 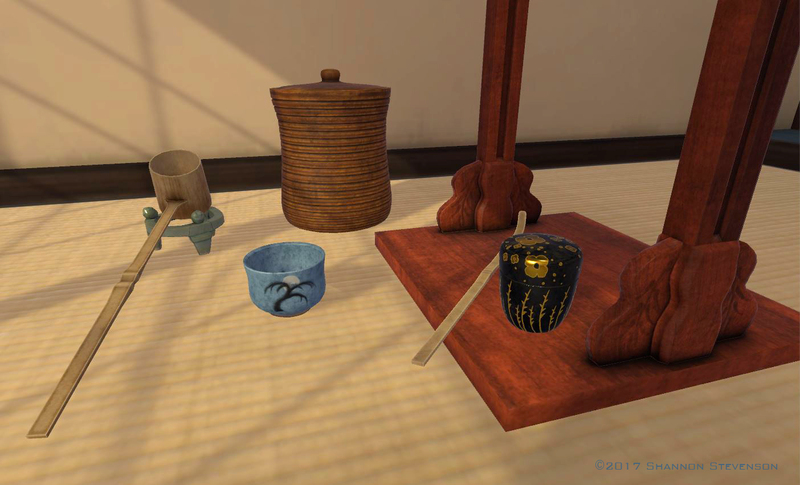 I tried to keep the details as authentic as possible to a traditional Japanese tea house. 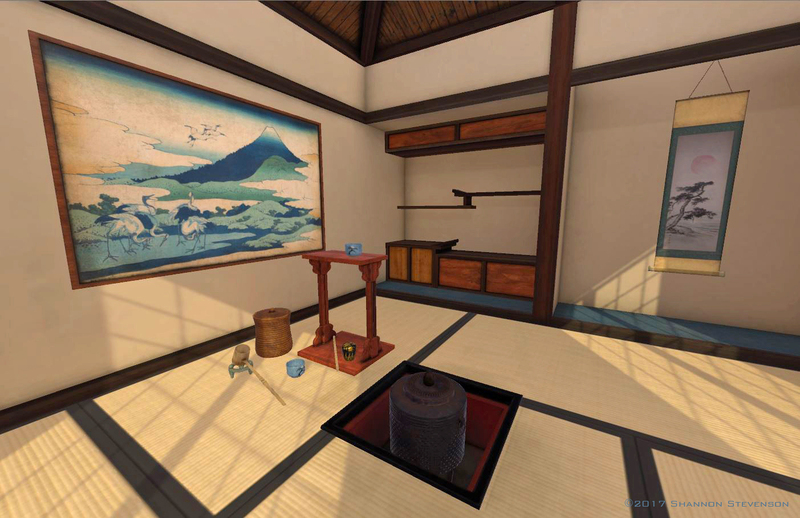 The goal of Phase 1 was to get the tea room and part of the garden finished, as well as have the physics of the objects work correctly in VR. 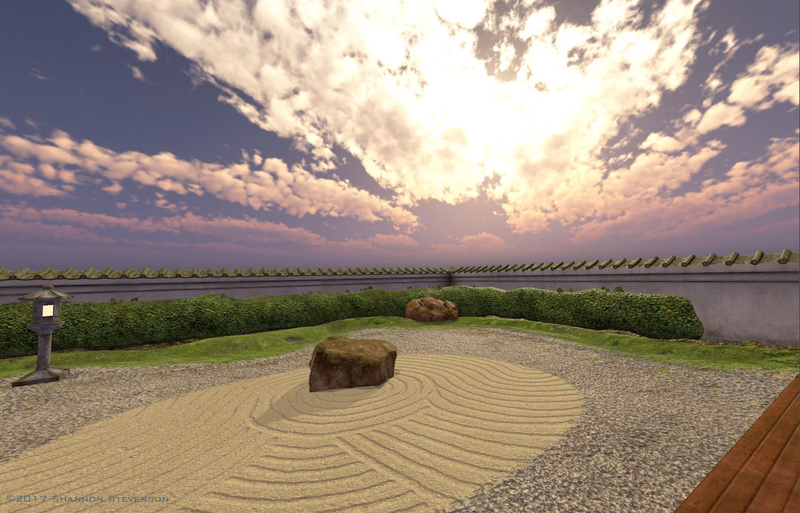 A VR environment is even trickier than a gaming platform because of the demands placed on the processing power of the computer for real-time rendering as you move around the space. Object meshes need to have the minimal amount of triangles as possible, yet still look decent. 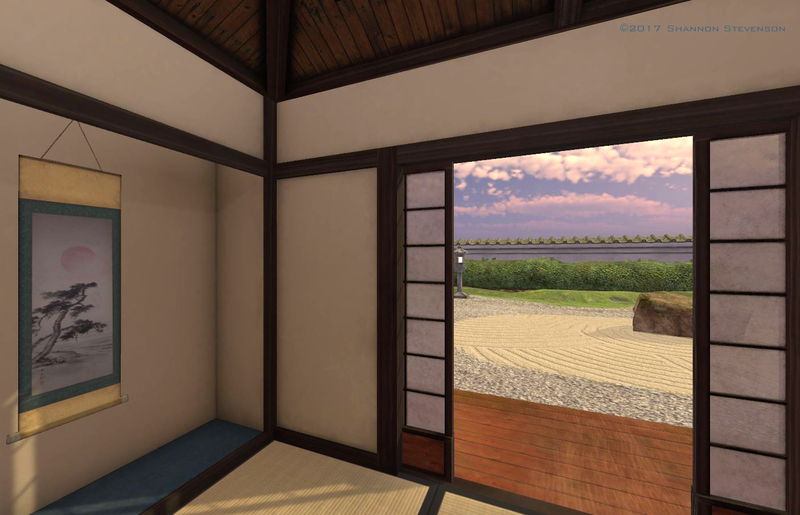 Texture sizes are mostly 1024 x 1024, keeping 3D (and 360 video) VR still somewhat limited in its appearance and performance. But once you’re “in it” your brain tends to fill in a lot of gaps automatically, making for an authentic experience that stays with you long after you take the headset off. 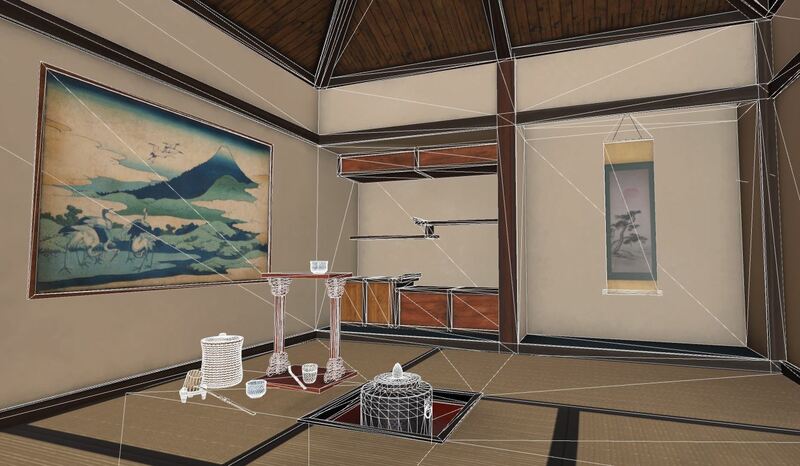 Phase 2 will include another room, trees and bonsai, more objects to interact with, and GeishBot!